(by Robin Respaut and Dave Graham, Reuters) SAN JUAN, Puerto Rico – U.S. President Donald Trump temporarily lifted restrictions on foreign shipping from the U.S. mainland to Puerto Rico on Thursday to help get supplies quickly to the U.S. territory as it reels from the devastation of Hurricane Maria. But even so, the island still faces huge logistical hurdles to distribute badly needed food, fuel and drinking water. Most of the Caribbean island’s 3.4 million people also are without electricity. Brock Long, the administrator of the Federal Emergency Management Agency (FEMA), said he was dissatisfied with the federal response but that relief operations had been hampered by damage to the air traffic control system, airports and ports [and roads]. Shipping containers have been piling up at Puerto Rico’s ports in the aftermath of Maria, which struck on Sept. 20, causing widespread flooding and major damage to homes, roads and other infrastructure. 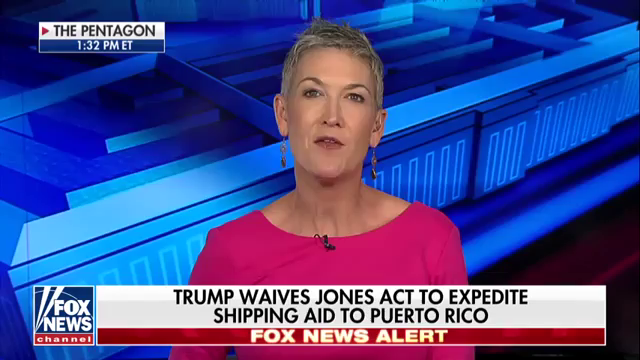 The U.S. government has periodically lifted the Jones Act for a temporary period following violent storms, including after hurricanes Harvey and Irma, which hit Texas and Florida in late August and earlier this month. ….. Even if the waiver helps speed cargo to the island, Puerto Rico is still struggling to move supplies around. “Really our biggest challenge has been the logistical assets to try to get some of the food and some of the water to different areas of Puerto Rico,” Rossello said interview with MSNBC on Thursday. “We need truck drivers,” he said, adding he had asked the Department of Defense to send troops to help with transportation. “The food is here, the water is here. We welcome more help. But critically, what we need is equipment,” and people, either national or state troops, Rossello said. FEMA’s Long told CNN that relief operations had been hindered by damage to the transport infrastructure, adding, ”The situation is not allowing things to move as quickly as we would all like. “No, I’m not satisfied because the fact is, is that we will not be satisfied until we stabilize the situation, which is why we work day in and day out, hour after hour, to try to alleviate the situation,” he said. U.S. Military personnel are playing a sizable role. The military had delivered fuel to nine hospitals and helped establish more than 100 distribution centers for food and water on the island, the Pentagon said on Thursday. It also was shipping a large generator to power a radar center to help air traffic control in San Juan and other airports. Five of six priority sea ports were open, although some had restrictions on the size of the vessel or were for daylight use only, the Pentagon said. A barge with 100 defense trucks carrying diesel and gasoline was expected to arrive in San Juan by Monday. Crowley Maritime, a Jacksonville, Fla.-based ship operator that serves the island, said in a statement that it had “more than 3,000 loads of food, supplies and other cargo” in San Juan awaiting distribution but that efforts to restore transportation were resuming only slowly. “We want to get goods to people as quickly and efficiently as possible,” Jose Ayala, Crowley’s vice president of Puerto Rico services, said in a statement. He said the company was still trying to get truckers to take goods and bring back shipping containers to carry more supplies. The company said it had brought in five new barges to join its existing ships to bring in supplies, which are coming mostly from Jacksonville. Other companies are moving goods through the airport in San Juan. U.S. Coast Guard Vice Admiral Karl Schultz said that the ports “look fairly good” but that computer systems weren’t working and that other infrastructure, including buoys used to help ships navigate were still being restored. Crowley and TOTE Maritime, another shipping company serving the island, each said they had unloaded nearly 3,000 40-foot containers with relief goods since the port reopened. Mr. Ayala said in a telephone interview that most of the containers holding medicine, food, raw materials and other relief supplies have not moved, however. “That part of logistics from our terminal, that supply chain has been interrupted,” he said. “The biggest challenge is how you can move the cargo. The cargo is here. The people of Puerto Rico should not have any fear that there is not going to be food or medicine on the island. Mr. Ayala said roads in the immediate area around San Juan are severely damaged and that sites further from the capital appear to be impassable. From Reuters .com and The Wall Street Journal. Reprinted here for educational purposes only. May not be reproduced on other websites without permission from Thomson Reuters and WSJ .com. 2. a) What is the population of Puerto Rico? b) List the necessities people are in dire need of receiving. 3. 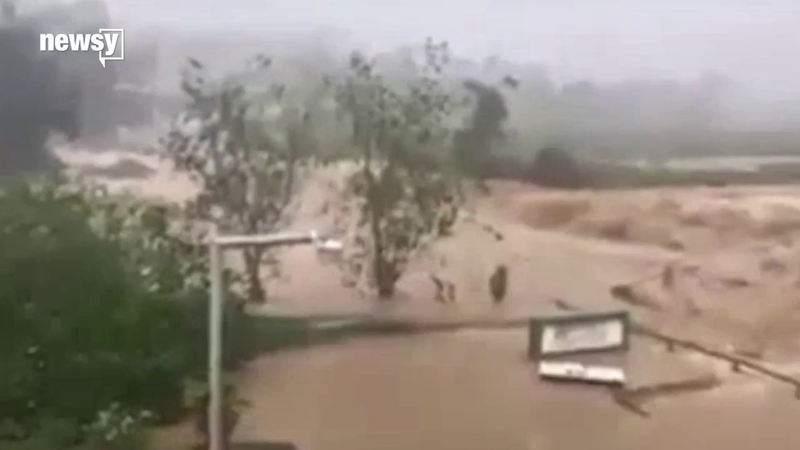 Why have relief operations been hampered? 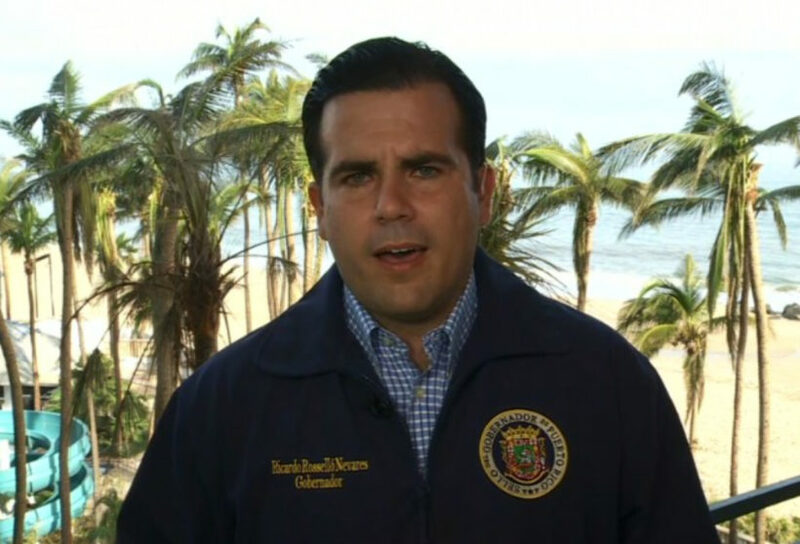 4. a) How did Governor Ricardo Rossello respond to President Trump waiving the Jones Act? b) Describe the problems/needs in Puerto Rico per Governor Rossello. 6. a) What is Crowley Maritime? b) What supplies has the company delivered to Puerto Rico? 7. What problems need to be addressed at the port, according to USCG Vice Admiral Karl Schultz? 8. Read the additional info “Where is the National Guard?” under “Background” below. 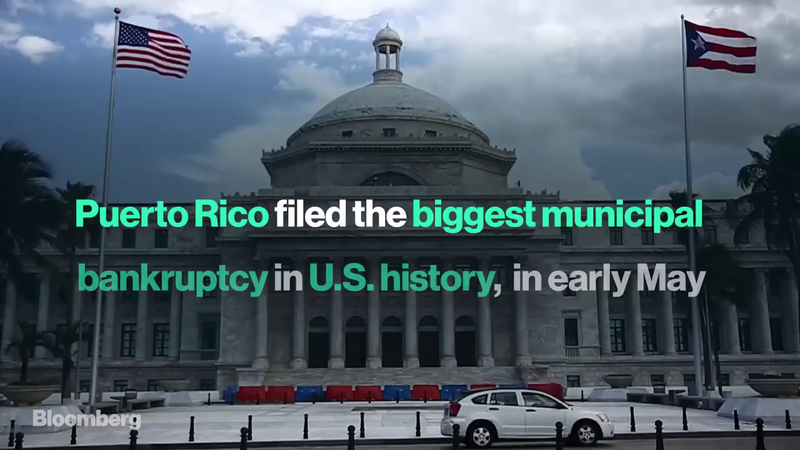 Then watch the news reports under “Resources.” Does having this additional information give you a clearer understanding of the unique challenges associated with recovery and relief on the island of Puerto Rico? Explain your answer. Where is the National Guard? (from thehill .com, by Ellen Mitchell, Sept. 25, 2017) – The clean-up efforts for U.S. territories following Hurricane Maria are expected to be far more complicated and lengthy than those for Florida and Texas in the wake of Hurricane Harvey, according to the head of the National Guard Bureau. Gen. Joseph Lengyel said Monday that it will be “a harder response scenario” to restore power and necessary infrastructure, likely taking months. “Puerto Rico and the Virgin Islands are not Texas and Florida. They’re out here in the middle of the ocean. It’s more complicated to get people here, it’s more complicated to fix the power grids, it’s more complicated to fix a whole lot of other things,” Lengyel told The Hill while traveling to St. Croix to meet with government officials and assess the damage. …Virgin Islands Gov. Kenneth Mapp (R) described the six days following Maria as “horrendous,” with 80 percent of the islands’ power distribution systems destroyed. “Two [Category] 5 hurricanes come through, 12 days apart,” Mapp told reporters in St. Croix. “We need a lot of support in terms of how we’re going to coordinate getting food here. We’re really rushed wrapping up on a plan on how we’re going to rebuild resiliently – as opposed to rebuild fast,” he said. The islands are now 90 to 100 percent without power, and Lengyel expects it will be “more than a month” until electricity is fully restored. For now, the primary Guard mission is search and rescue, food and water distribution, and standing up operations and communications. Hurricane Irma earlier this month hit Puerto Rico and the Virgin Islands as a Category 5 storm, followed by Florida and Georgia, causing more than 55 deaths. Maria followed through the Caribbean less than two weeks later, also a Category 5 storm, further trashing the already ravaged U.S. territories. Puerto Rico has only 1,375 Guard troops to help on an island with a population of nearly 3.5 million. The Virgin Islands, meanwhile, have roughly 1,200 troops — 800 from out of state — across St. Croix, St. Thomas and St. John. Texas, in comparison, had a high of 20,000 National Guard forces, including 12,000 from Texas alone, to aid after Hurricane Harvey. Lengyel met with FEMA Administrator Brock Long, White House Homeland Security adviser Tom Bossert, Virgin Islands Gov. Mapp and Virgin Islands National Guard Adjutant Gen. Brig. Gen. Deborah Howell. After the meeting, Lengyel told reporters Gov. Mapp was happy with the support he was receiving from the federal government and was asking for more security forces to combat looting following Maria. Another 1,000 to 1,500 troops are expected to be in the Virgin Islands in the coming days. “They’re requesting everything they need and all the [documents] have been signed. I expect that they’re flying those forces in here over the next week,” he said.